The folks over at Camp Obama have been relentlessly assaulting Mitt Romney for his company’s alleged ‘outsourcing’ of jobs overseas. And they have been hammering him for holding investments outside the country as well. But the hypocrisy doesn’t end with the fact that several prominent Democrats have been found to have worked with companies that outsourced jobs, or with the fact that they have held offshore accounts. The hypocrisy can also be found in the latest campaign fundraiser held by the Obama campaign … in Communist Red China. And here is a link to another fundraising page for the event which was held in Shanghai. Does that seem a bit hypocritical? Attacking Romney not only for supposedly outsourcing jobs overseas, but also attacking him for having investments outside the U.S., yet here Obama is sponsoring fund raisers in China, of all places? But it isn’t just China. Obama is also plying donors with U.S. citizenship in the UK and France. Lots of outsourcing going on, there, pal. It is hypocritical, but it’s just another example of the Obama campaign trying to take the public’s focus off of the economy. 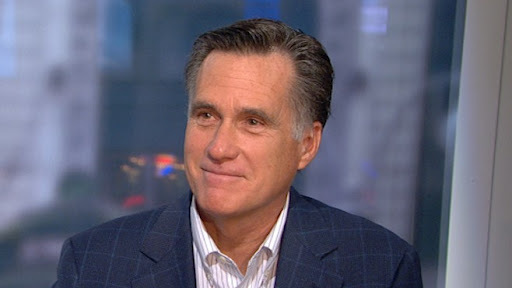 Video: Mitt Romney Argues that President Obama is the "Outsourcer-in-Chief"
Looks like Mitt Romney and the Republican Committee are getting tired of outsourcing accusations that the Obama campaign has heaped upon him for his time at Bain Capital. The belated counter-attack comes weeks after President Obama’s campaign seized on a Washington Post story examining how Romney’s former company Bain Capital invested in firms that provided outsourcing services like call centers. As it happens, the Republican National Committee on Tuesday pointed to a new Post story — this one examining Obama’s “outsourcing” record — as the GOP unveiled a website that outlines in fine detail how federal dollars under the Obama administration funded foreign projects. The counterattack comes a little late, as polls have indicated that the President’s attacks on Romney’s work at Bain have been working. Is this new tactic going to slow down that trend?